Little empirical evidence exists about school-age pragmatic communication or predictors in siblings at heightened familial risk for ASD (HR) and low-risk (LR) controls. The Pragmatic Rating Scale-School-Age (Landa unpublished) was scored for 49 HR siblings and 18 LR controls at 8–12 years. Social-communication and language measures were collected between 14 and 36 months. 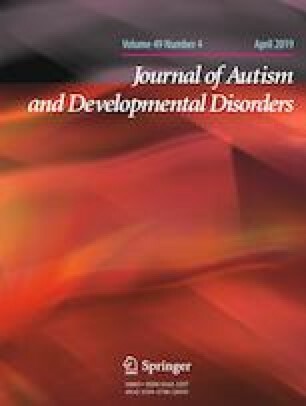 At 36-months, siblings were classified as ASD (HR-ASD, n = 15), broad autism phenotype (HR-BAP, n = 19), or typically developing (HR-TD, n = 15). Results revealed a pragmatic continuum with significantly better scores for HR-TD than HR-BAP or HR-ASD, and HR-BAP than HR-ASD. Per regression models including all participants, 14-month joint attention initiations predicted school-age pragmatic communication, as did 24-month social-communication and expressive language scores. Early joint attention, social-communication, and language abilities contribute to later pragmatic functioning. This research was funded by Grant MH59630 from the National Institute of Mental Health (R.J.L., principal investigator). We also thank the many research clinicians who collected this study’s data, and the superb staff who provided administrative support, videotaped assessment sessions, and processed data. We also thank Luther Kalb for his expert consultation in nonparametric statistical analysis. Most importantly, we thank the participants and their families, who made this study possible. RJL conceived of the study and obtained the funding. KJG and RJL planned the analyses. KJG and EAU coded the PRS-SA data, with input from RJL. KJG conducted the analyses. KJG and RJL interpreted the results. KJG took the lead in writing the manuscript. RJL provided critical feedback and helped shape the manuscript. EAU read and agreed with the contents of the manuscript. All procedures performed in this study involving human participants were in accordance with the ethical standards of the institutional and/or national research committee and with the 1964 Helsinki declaration and its later amendments or comparable ethical standards. All families gave written informed consent for child participation; at school-age, children provided verbal assent. Kennedy Krieger Institute. (2013). Early signs of autism video tutorial—Kennedy Krieger Institute [Video file]. Retrieved from https://www.youtube.com/watch?v=YtvP5A5OHpU. statistics.laerd.com (2018). Principal components analysis (PCA): Background & requirements. Retrieved from https://statistics.laerd.com/premium/spss/pca/pca-in-spss-3.php.